Ayushman Bharat Yojana is a health insurance scheme introduced by the Ministry of Health and Family Welfare, Government of India. While presenting the budget of the Central Government on February 1, 2018, Finance Minister Arun Jaitley told about this program. In this scheme, the country’s 10.74 Crore families will not have to spend the cost of treatment in the hospital. These families will be able to get treatment up to five lakh rupees for free. With an average of 5 members in each family, more than 50 crore people of the country can benefit from this scheme. Ayushman Bharat Yojana 2018 is also known as Ayushman Bharat Insurance Scheme or Ayushman Bharat Scheme. This ambitious Sarkari Yojana is also known as Medicare Yojana. The Modi Government has launched the Pradhan Mantri Awas Yojana (PMAY) for the poor people of the state. Under the Pradhan Mantri Awas Yojana, the goal of providing a permanent house to everyone by 2022. The Government had announced this housings scheme in June 2015. If you do not have a permanent house then you can apply for it. The benefits of this scheme can be taken by the Economically Weaker Section (EWS), low-income group (LIG) and people aged between 12 to 18 lakhs in a year. For this scheme, the central government will provide financial assistance of Rs. 1.20 Lakh to the poor homeless people in the form of a loan for the construction of their house. The Modi Government had launched the Pradhan Mantri Ujjwala Yojana (PMUY) in the year 2016 for the poor women of the country. Under this scheme, the central government provides free LPG Gas Connections to the women belonging to poor families. The main motive of the government behind launching this scheme is to provide a safe and healthy environment for the women across the country. Under this scheme, the central government provides LPG Gas Connections to the women whose name is registered in the Socio-Economic Caste Census List 2011 (SECC – 2011 List). Till now, the government has successfully distributed a total number of 8 crores LPG Connections under the Pradhan Mantri Ujjwala Yojana (PMUY). Varun Mitra Yojna is being run by Ministry of MNRE and NICE. This is called Solar Water Pumping “Varun Mitra” program. The purpose of the Varun Mitra Yojana is to provide renewable energy, solar resource assessment and solar photovoltaic, site feasibility, water table, different types of solar water pumping component, DT converter, inverter, battery, motors, pump motor, installation of grid and stand-alone solar PV People have to trends about the water pumping system. Apart from this, information about safety practice, operation and maintenance, testing and commissioning for solar PV water pumping system will also be provided under the Varun Mitra Yojana. The Modi Government has started the special deposit scheme for the daughters of the country. 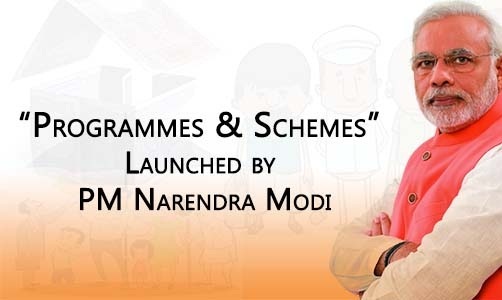 The name of this scheme is ‘Sukanya Samriddhi Yojana’. The central government had launched this scheme on December 4, 2014, for the promotion of small savings schemes for daughters. Sukanya Samrudhi Yojana is for daughters only, in which the government recently made a big difference. Now the minimum deposit amount has been reduced from Rs. 1,000 to 250 rupees in this scheme. Now, anyone can open an account in the name of the girl’s parent or guardian daughter. The Odisha government has started a new welfare scheme for the farmers of the state. The name of this scheme is Krushak Assistance for Livelihood and Income Augmentation Scheme (Kalia Scheme). The state government has launched this scheme to help farmers. Its aim is to reduce poverty and increase the prosperity in the agriculture sector. Many agricultural and economic affairs experts have praised this scheme. Kalia plan is more elaborate than the other farmer welfare schemes because it includes all small and marginal farmers. Besides, landless agricultural laborers, shopkeepers are also being included under this scheme. Punjab Government has announced to launch Smartphone distribution scheme 2019 to distribute free smartphones among the youth of the state. Through this free smartphone scheme, the youth will be digitally linked to all welfare schemes and will be empowered. This new smartphone in Punjab Distribution plan will further encourage the state government’s digital empowerment agenda. Under the Punjab Free Smartphone Distribution Scheme 2019, the state government will distribute more than 50 lakh mobile phones in the state. Along with this, 12 GB free Data for 1 year and talk time of 600 minutes will also be provided free of cost. The state government of Tamil Nadu Government has launched a new scheme for the students of the state. The name of this scheme is Tamil Nadu Free Laptop Scheme 2019. Under this scheme, the state government will provide free laptops to the 15 Lakh meritorious students of the state. Through these laptops, the students will be motivated towards digital India program. The TN Government is going to distribute 15 Lakh free laptops to students in order to encourage them towards studies.